With the huge growth of mobile phones complementing with a revolution wireless network technologies there has been a huge change in the consumer’s lifestyle and dependence on mobile phones. With the emergence of smart phones (mobile web) consumers are replacing not only their fixed lines but have started downsizing the number of personal computers in home. But they have far way to go as this demographic for this adoption is quite limited due to various factors. Fundamentally, consumers want great voice quality, reliable service, and low prices. 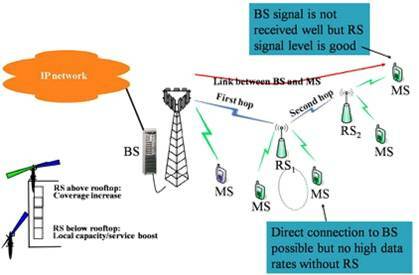 But today’s mobile phone networks often provide poor indoor coverage and expensive per-minute pricing. In fact, with the continued progress in broadband VoIP offerings such as Vonage and Skype, wireless operators are at a serious disadvantage in the home. Hence the wireless operators are looking to enhance their macro-cell coverage with the help of micro-cell coverages(indoor) deploying small base stations such as Femtocells or with the help of Relay technology.These miniature base stations are the size of a DSL router or cable modem and provide indoor wireless coverage to mobile phones using existing broadband Internet connections. 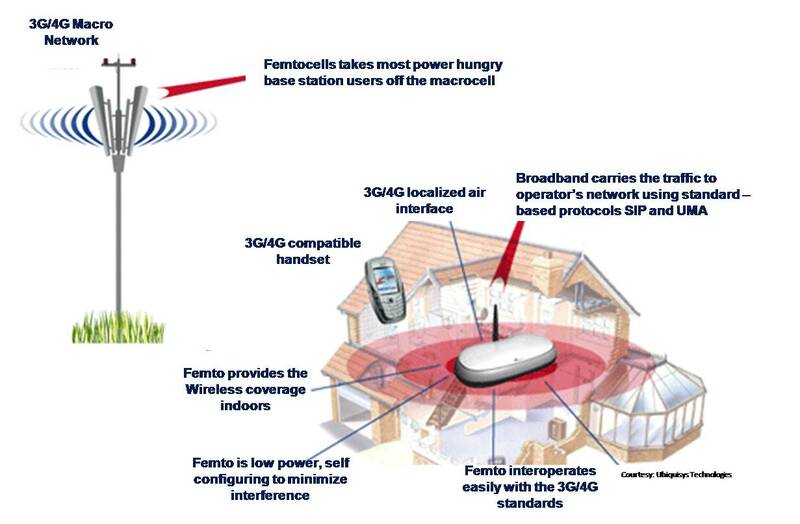 Broadband ocnnected:Femto cells utilize Internet protocol (IP) and flat base station architectures, and will connect to mobile operator networks via a wired broadband Internet service such as DSL, cable, or fiber optics. 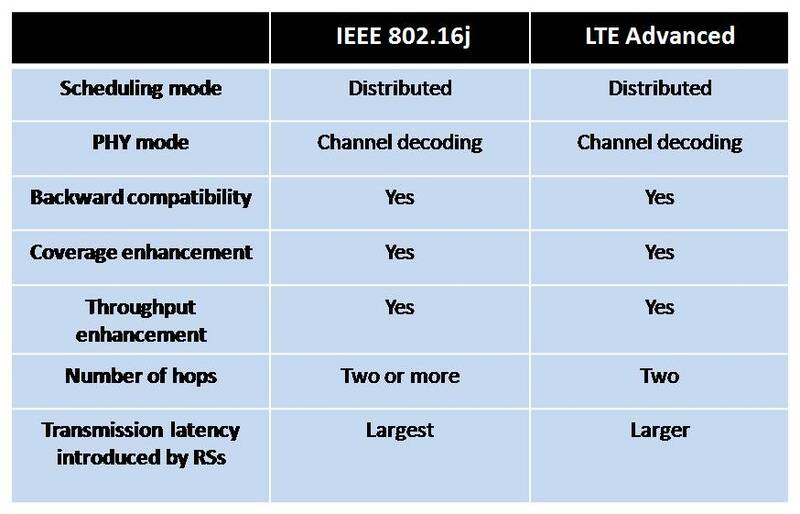 and IEEE 802.16j (multihop relays for WiMAX standards). a BS), to access the eNB. 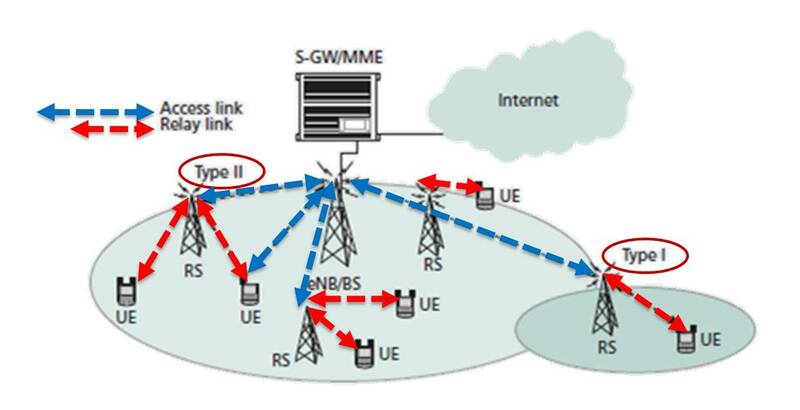 So a Type-I RS needs to transmit the common reference signal and the control information for the eNB, and its main objective is to extend signal and service coverage.Type-I RSs mainly perform IP packet forwarding in the network layer (layer 3) and can make some contributions to the overall system capacity by enabling communication services and data transmissions for remote UE units. IEEE P802.16J/D9, “DRAFT AMENDMENT TO IEEE STANDARD FOR LOCAL AND METROPOLITAN AREA NETWORKS PART 16: AIR INTERFACE FOR FIXED AND MOBILE BROADBAND WIRELESS ACCESS SYSTEMS: MULTIHOP RELAY SPECIFICATION,” FEB. 2009. S. W. PETERS AND R. W. HEATH JR., “THE FUTURE OF WIMAX: MULTIHOP RELAYING WITH IEEE 802.16J,” IEEE COMMUN.MAG., VOL. 47, NO. 1, JAN. 2009, PP. 104–11. Y.YANG, H. HIU, J. XU, G. MAO, "RELAY TECHNOLOGIES FOR WIMAX AND ADVANCED MOBILE SYSTEMS" IEEE COMMUN. MAG., OCT,2009. C. K. LO, R. W. HEATH, AND S. VISHWANATH, “HYBRID-ARQ IN MULTIHOP NETWORKS WITH OPPORTUNISTIC RELAY SELECTION,” PROC. IEEE ICASSP ‘07, APR. 2007, PP. 617–20.